Power Star Pawan Kalyan, chief of Janasena Party is leaving no stone unturned to show his power in the political battle field in the upcoming elections in Andhra Pradesh. He has become the most sought after for both AP CM Chandra Babu and opposition leader YS Jagan Mohan Reddy. These elections are turning out to be the most prestigious one for Jagan, Chandra Babu, Pawan and so all the three are busy formulating their strategies to outsmart each other. Owing to Pawan Kalyan's community, many expect he will be the deciding factor in the coming elections. So both Jagan's YSRCP and Chandra Babu's TDP are trying to have an alliance with Janasena. 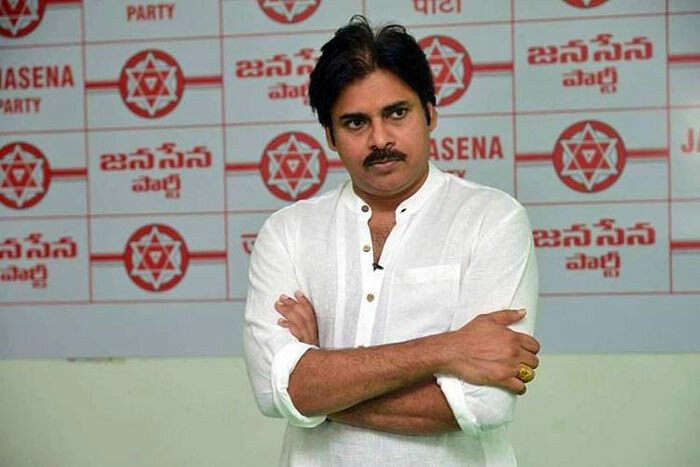 Pawan however made it clear that he will go all alone in the upcoming elections. Meanwhile, speculations are rife that a top businessman is mediating between Pawan Kalyan and Chandra Babu Naidu. Though Pawan wasn't keen for any pre poll alliance, the businessman came up with a lucrative offer. While Pawan is expecting 40 MLA and 5 MP seats for the alliance, the businessman came up with the offer to give 30 MLA and 5 Lok Sabha seats. Earlier Pawan turned down Jagan's offer when his aide Kanna Babu mediated for 20 assembly seats and 2 Lok Sabha seats. Wonder what shocks Pawan Kalyan will give in future.